Being a traveller, specifically a culture traveller, emphasises experiencing life within a foreign culture. And one of the most integral aspects of a nation’s culture is their language. Without the local language, you can’t go through day-to-day activities because concepts and objects are all called in the local names. We’d be experiencing the country through a foreigner’s lens and not through the actual reality of what people living there experience. Having grown up with the English language throughout my entire life, I always tried to understand foreign cultures through my tongue. When my local tour guide tries to explain to me certain phrases or expressions, I’m always trying to find “English equivalents” of the words they are describing. 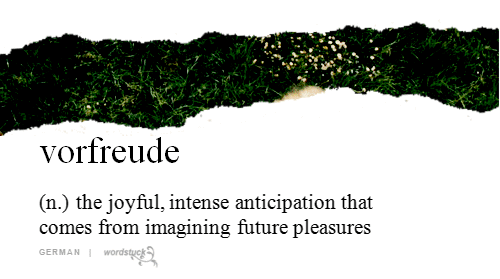 Yet these untranslatable words exposes an aspect of a country’s culture. Oftentimes, they settle for the basic translation in order to continue explaining. But very soon I realised that I was missing out on the nuances embedded within the words, and with that, a jigsaw piece of the culture. 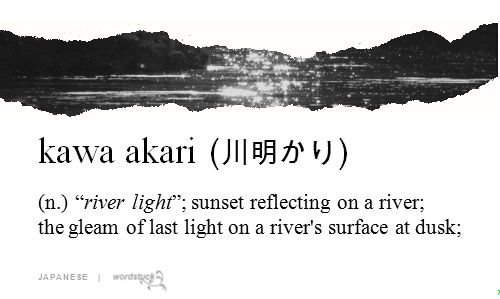 Reflecting on my two most recent trips to Japan in March-April (which you can read the complete adventures here) and Germany over the summer (travel adventures here) earlier this year, I’d just like to share with all of you a few of my favourite words I learned from both countries. First of all, I’d just like to point out how poetic these words are! They convey such simple phenomena that we see everyday yet we—at least I do—remain largely ignorant to the depth of emotions that could be conveyed by such occurrences. 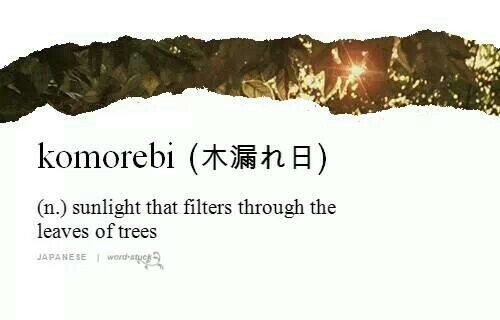 These group of words just goes to show how the Japanese people are very in tune with nature as well as how observant they are. The extent of how much nature plays a key role in the Japanese culture could be exemplified in the word shinrin yoku (森林浴), which literally translates into “forest bathing,” the act of visiting a forest for relaxation and to improve one’s health. I find it amazing how nature can have a therapeutic effect to the Japanese. If I had not learnt of these words, I probably would have taken a look at the lavender fields in Sapporo through the lens of my camera and not immerse myself in the sea of soft purple. Moving on to halfway across the globe, the Germans also have just as interesting sets of words. Germany is known as “Das Land der Dichter und Denker,” the land of poets and thinkers. This seems to suggest that Germans are rather brooding. 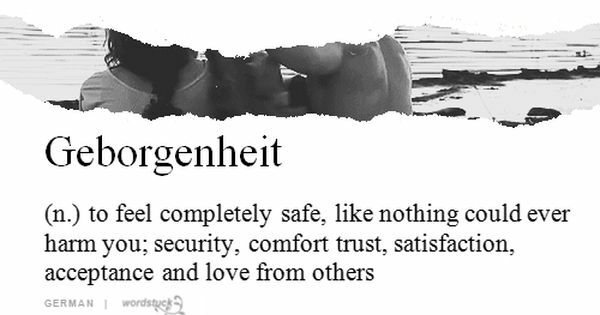 Maybe that’s why the words born from the German culture largely links to feelings and emotions. After all, Germany has produced numerous philosophers over the years, think Nietzsche, Schopenhauer, Heidegger… Immanuel Kant, one of Germany’s renowned philosophers, described the allure of melancholy as “characterising those with a superb sense of the sublime,” which he says arouses both enjoyment and dread. So we can see that reflecting on emotions is an integral part of the German culture, even dating all the way back to the 1700-1800s. Interestingly, German words are largely compound words, which I think the pairing selection is also a very unique aspect to the German culture. This aspect of their language shows that Germans are innovative in that they will try to experiment with existing resources—in this case, existing basic words—to form something new. Albeit seemingly depressing, the Germans are a creative bunch. Fremdschämen is made up of “fremd” and “schämen” meaning “foreign” and “embarrassment” respectively. When put together, the word means to feel embarrassed for someone else especially when they don’t notice it. Although the word was translated individually as “foreign embarrassment,” I find it interesting that the term “fremd” here more accurately refers to projected feelings onto the other person instead of “foreign” being something unfamiliar to oneself. I guess this just goes to show how much the German culture values the nuances of describing emotions. Through learning and understanding foreign words, we gain a deeper insight of the worlds outside our own. The language of a culture tells us about what the people of that culture value in life. Through their language, we immerse ourselves into the culture of that place and in doing so, truly experience unique local practices and more nuanced emotions and traditions. What words reflect your culture?